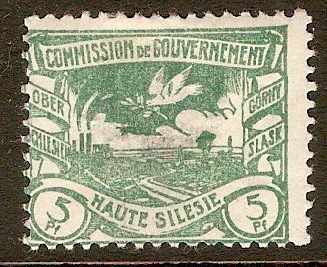 Upper Silesia 1920 5pf Green. SG3. Fine used 1920 5pf Green. SG3. 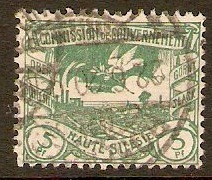 Mounted mint 1920 5pf Green. SG3. 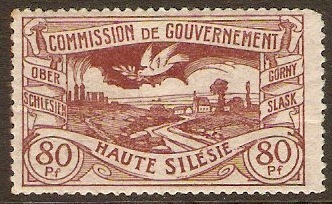 Upper Silesia 1920 10pf Chestnut. SG4. Mounted mint 1920 10pf Chestnut. SG4. 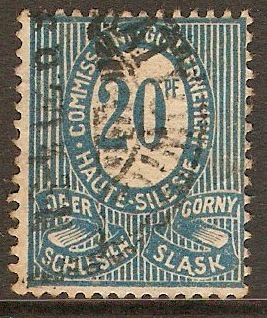 Upper Silesia 1920 20pf Blue. SG6. Used 1920 20pf Blue. SG6. 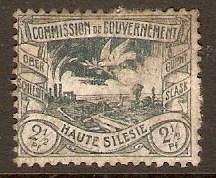 Upper Silesia 1920 2½pf Grey. SG19. 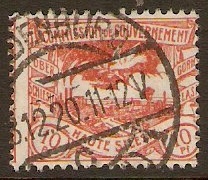 Used 1920 2½pf Grey. SG19. 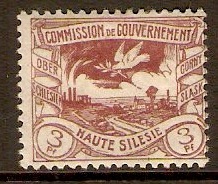 Upper Silesia 1920 3pf Purple. SG20. Mounted mint 1920 3pf Purple. SG20. 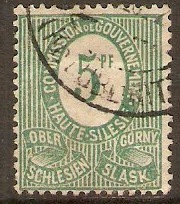 Upper Silesia 1920 5pf Green. SG21. Heavy mounted mint 1920 5pf Green. SG21. 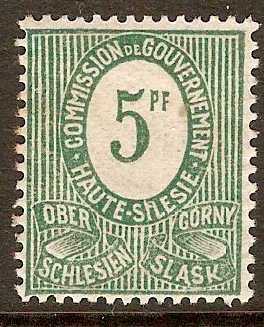 Used 1920 5pf Green. SG21. 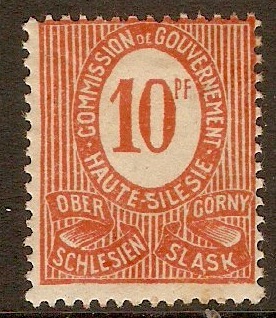 Upper Silesia 1920 10pf Red. SG22. Fine used 1920 10pf Red. SG22. Fine used 1920 10pf Red. SG22. Horizontal pair.